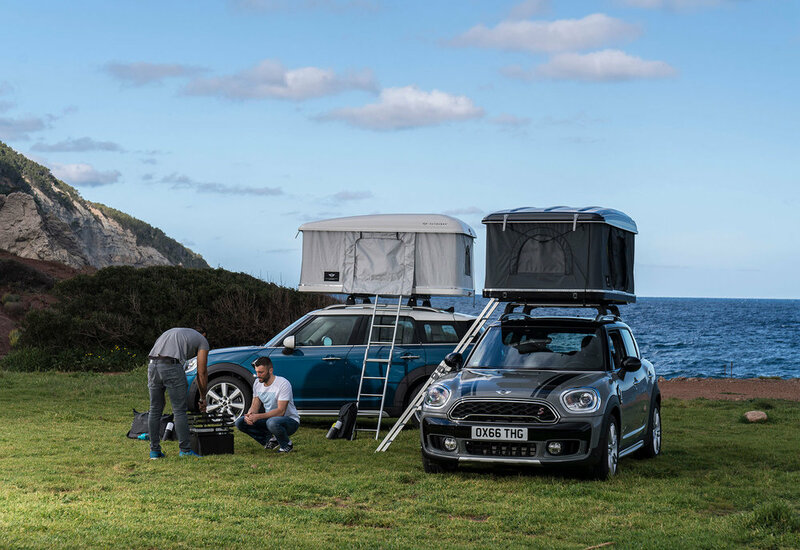 AUTOHOME, Italian specialist in automobile roof tents, teamed up with the British car brand to develop a two-man roof tent designed to be mounted perfectly onto the roof of a MINI. The roof tent comes available in black or white, in keeping with the contrasting roof and mirror caps of the new Countryman. Designed in collaboration with MINI, the tent looks like a conventional roof box when closed, with fibreglass housing and aerodynamic lines for minimal air resistance and noise. The tent is then raised when in use by means of four gas pressure springs. 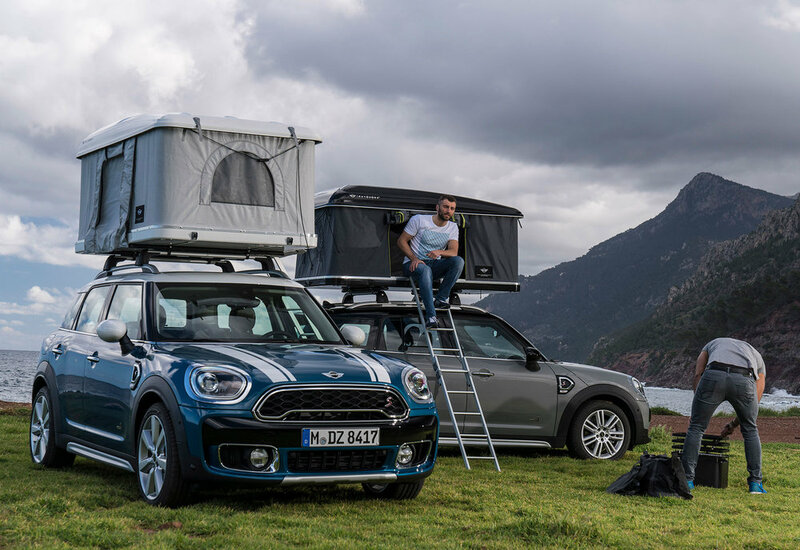 The roof tent can be mounted onto the MINI roof rails, which come as standard with the new MINI Countryman, without the use of tools in just a few easy moves. Inside, there is a high-density mattress with cotton cover, two doors and two windows with zips, close-meshed mosquito nets at all openings and a battery-operated LED interior light, as well as luggage nets and pockets to stow personal items. A solid aluminium ladder is provided to climb up onto the top floor of the MINI Countryman. Measuring 2.10 metres in length and 1.30 metres in width, the new MINI-inspired roof tent is the perfect solution to outdoor adventure sleeping, whether on a short weekend break or a longer travelling experience. Launched in the UK in February 2017, the new MINI Countryman is the biggest and most versatile model to be launched in the brand’s 57-year history. The special edition AirTop roof tent is on sale now.